Experience Lincoln Castle after hours with our monthly programme of exclusive Twilight Tours. Hosted by the specialist guides of the Friends of Lincoln Castle, these tours are an opportunity not to be missed. Included within the price of the ticket is after hours admission to the Castle grounds, a 30 minute talk provided by a specialist guide from the Friends of Lincoln Castle; light refreshments, which can be enjoyed in our Langton's café and a guided tour of the castle grounds and walls, providing spectacular evening views over the City of Lincoln. 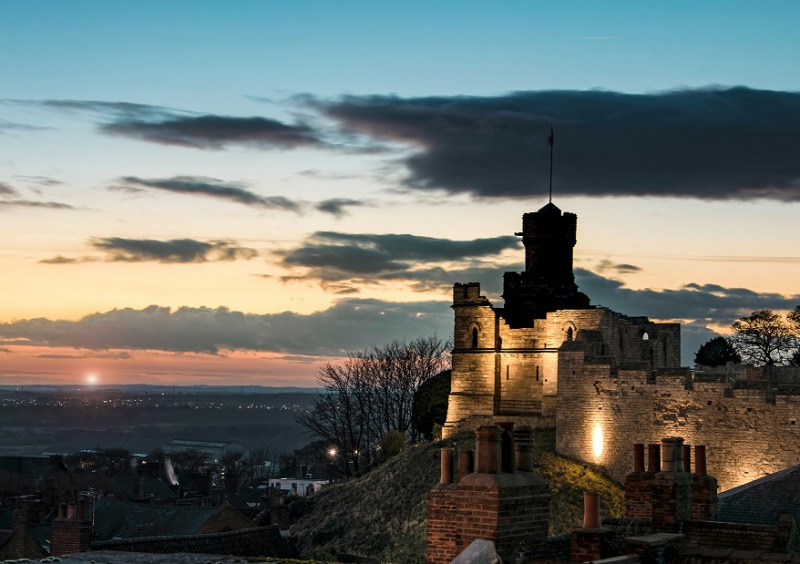 Prices Between £18.00 to £20.00 Twilight Tour: Victorian Prison Our Victorian Prison Group invite you to join them for an evening exploration of the Victorian Prison here at Lincoln Castle. The Governor and his wife will greet you and introduce you to the prison, explaining its origins within the medieval walls. Light refreshments will be provided along with the chance to view the prison afterhours with members of the prison group present through-out the evening. There will be opportunity to find out more about the prisoners who were held here within the Castle's walls. Prices Between £18.00 to £20.00 Twilight Tour: Medieval Cooking Do you have a favourite recipe? Join us this evening and compare your favourite meals to those that were eaten in medieval times. Lincoln Castle's Garrison are in the grounds demonstrating cooking and discussing some of the dishes that would have been eaten in medieval Lincoln. Each ticket includes a hot drink and medieval themed light refreshments from our café. The wall walk will be open through-out the evening and the friends of Lincoln Castle guides will be on hand to impart their knowledge of Lincoln's medieval castle. Prices Between £18.00 to £20.00 Twilight Tour: Meet the Medieval Wise Woman Have you an ailment or an injury? Why not visit Lincoln Castle this evening to find out what treatments would have been recommended by a Medieval Wise Woman! Find out about some of the curious cures that would have been used. This 30 minute presentation, provided by the Lincoln Castle Garrison, will be followed by light refreshments in Langton's café. Prices Between £18.00 to £20.00 Twilight Tour: Falconry Don’t forget to bring your cameras as for one night only; Lincoln Castle presents an evening of falconry. Meet Lincoln Castle's master falconer and watch him fly his birds of prey in this exclusive evening experience. Each ticket includes a free hot drink and a choice of cake from our café. The wall walk will be open through-out the evening and the friends of Lincoln Castle guides will be on hand to impart their knowledge of Lincoln's medieval castle. Prices Between £18.00 to £20.00 Twilight Tour: Roman Lincoln For 400 years, between 60AD and 410AD, Lincoln was a Roman city. First came the legions in the form of the famous ninth legion, and after the legions departed Lincoln became an important Colonia, it was one of the principal cities of Roman Britain.